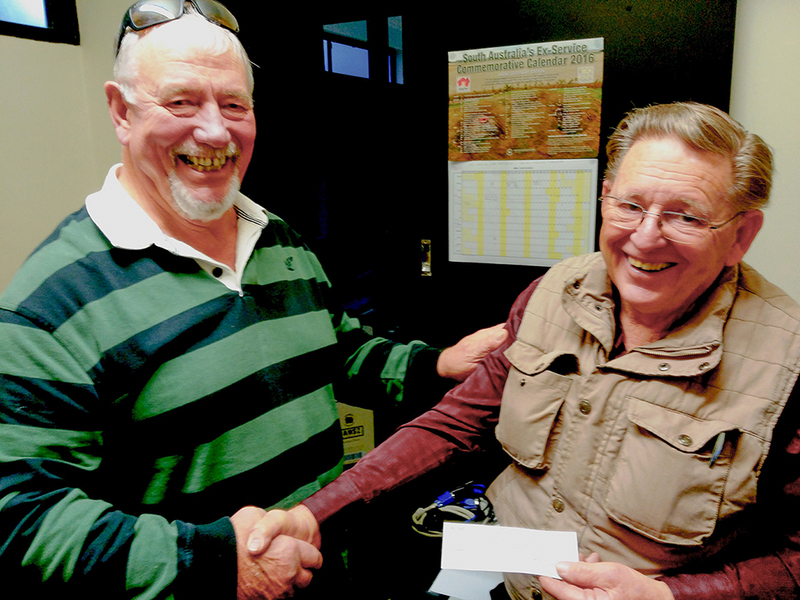 It is not the first time that Brian Budden, ex-5 RAR first tour 1966/67 has shown his altruistic side to the benefit of the Trojan’s Trek Foundation. But this time the donation was awarded on a day to signify a memory he wishes to commemorate. The donation marks the day John Sweetnam 8 Pl C Coy was KIA on operations in SVN. The envelope handed to the Foundation Chair Moose Dunlop OAM on 23 Jun carries the message. Present on the occasion was the then Section Commander Dogs Kearney OAM, now resident in Adelaide. Moose reported that the reminiscences between the two were entertaining and thought provoking. The sincere thanks from the foundation were extended to Brian for his most generous gift devoted to the welfare of our successors. Trojan’s Trek receives minimal government funding so we rely on donations of money or consumables and goods related to the Trek. Donate with a credit card or a paypal account.